New York&apos;s Capital-Saratoga region is home to lavish mansions, ornate seats of government and historic places that weave a rich tapestry of the state&apos;s long history. Glittering theaters and vast museums invite the winter wanderer. In between these monuments are ancient neighborhoods to explore, quiet corners to relax, and indoor amusements for families. Polish your creative skills at the Arts Center of the Capital Region with a class in jewelry making, stained glass, woodworking, writing, pottery, digital arts, dance or yoga. Revisit early life in the Hudson Valley at the Albany Institute of History and Art where Hudson River School paintings and sculpture, furnishings and photos breathe life into colonial New York. 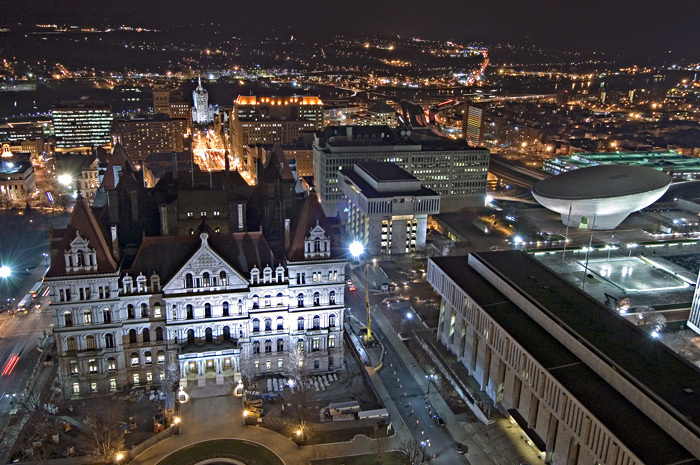 Explore Albany&apos;s New York State Museum, the country&apos;s largest and oldest, or stroll the elaborately gilded New York State Capitol Building. This region&apos;s creature comforts rival its outdoor adventures. So many historic inns, ornate hotels and quaint B&Bs dot the landscape, you&apos;ll have a hard time choosing one. Typical is Saratoga&apos;s Inn on South Lake with its wood-beamed ceilings and stained glass. Halfmoon&apos;s Estate at Oakcliff, filled with period antiques, commands stunning vistas of the Mohawk River as viewed by four former presidents who stayed there. Troy visitors might want to wake up in one of the five historic bedrooms of 1892&apos;s Victorian-Gothic Olde Judge Mansion located in the heart of this historic city, the home of Uncle Sam. Think that farmers&apos; markets end after fall harvest season? Not any more. Get your farm-fresh cheeses, meats and specialty foods at winter farmers&apos; markets like the Empire State Plaza, Troy Waterfront and Ballston Spa markets, the Mohawk Harvest Coop in Gloversville, or the Schenectady Greenmarket located inside the historic Proctors Theatre complex. 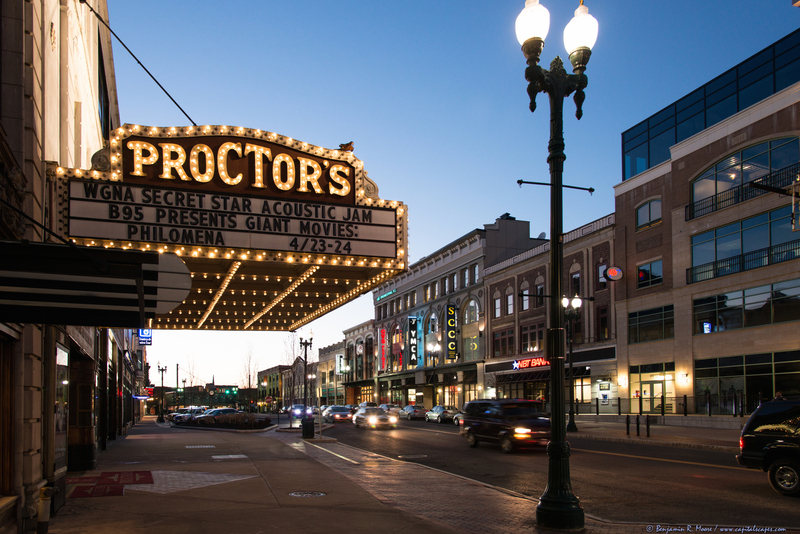 It&apos;s hard to keep your eyes on the stage when you see a show at golden-age theaters like Albany&apos;s Palace, Schenectady&apos;s Proctors, and the Troy Music Hall where top acts go all winter long. Downtown Albany&apos;s Times Union Center hosts events from WWE Smackdown to Disney on Ice, as well as Siena Basketball and Albany Devils Hockey. You can even experience monster truck rallies here. Roller skaters can visit the largest indoor roller skating rink in the world at Guptill&apos;s Arena in Latham. Schenectady&apos;s kid-friendly Museum of Innovation and Science offers Sky Tour planetarium shows and lab workshops. Troy&apos;s top-rated Children&apos;s Museum of Science and Technology is designed for kids and parents to explore, discover, and imagine the world of science.